The words which millions have experienced in their weddings over the ages failed to be spoken by the minister who married me. He mistakenly thought I was whispering I needed a wafer instead of the “Give me away” I was mouthing, so he nervously and unexpectedly went and brought me a communion wafer. At that point, I gave up and asked God to completely taken over my wedding. And wasn’t officially given away that day. This small mistake, this moment that never came but was expected, became a bit of a joke between my husband and parents. Joking about giving me back because I hadn’t been officially given away was a sharp knife cut to my heart each time it was spoken out loud over the years which followed. That wound, for me, went quite deep. It triggered feelings of being unwanted, overlooked, and became an active firing target for the enemy. Until God showed me the truth in that moment in my wedding. He showed me He was there, leading me up the aisle, and He gave me, His treasure, to my husband that day. A temporary loan until He will walk me down the aisle towards Him on that day yet to come. I am His Bride, His Beloved, and He will never trade me away, fail to show up or stop loving me. With that revelation, my wound began to heal, forgiveness was released and I have been able to recall that moment ever since without pain. And even crack a joke about it myself the last time it was brought up in family conversation. 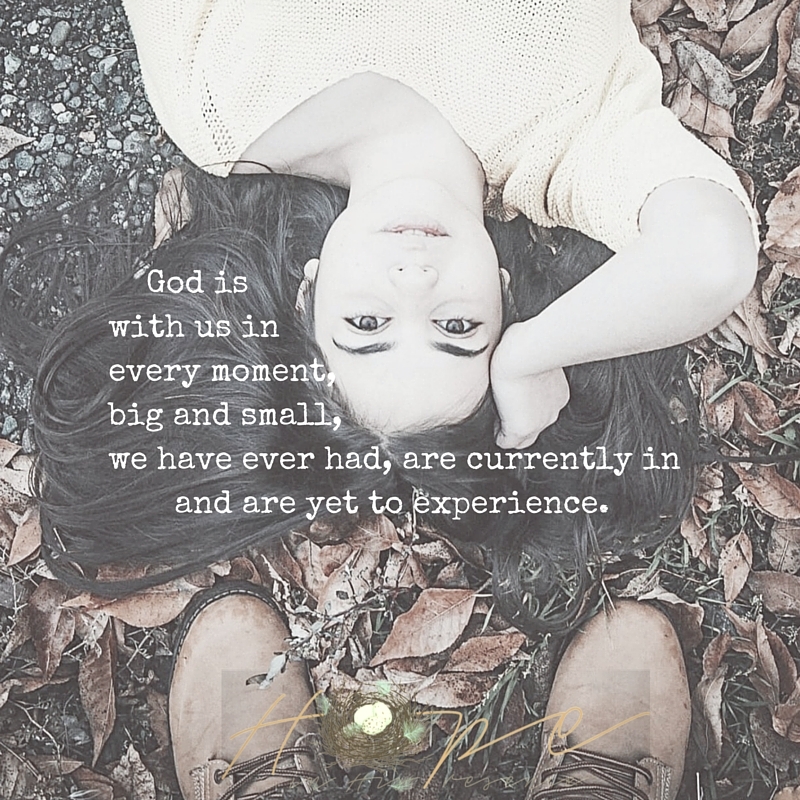 God is with us in every moment, big and small, we have ever had, are currently in and are yet to experience. All the highs and lows, hurts and blessings, grieving and celebration we will ever have in our lives. So you may feel like you’ve been overlooked, not given a second look or skipped in a moment which has seared itself into your memory too. And miraculously, He is still there, waiting for you to see where He was in that moment, how He was looking at you with such love, reminding you He knows exactly how to see you free and make you whole again in that wound. And in each and every wound you have. Now, in the present. Then, in our past. And to come in the ones which haven’t happened yet.